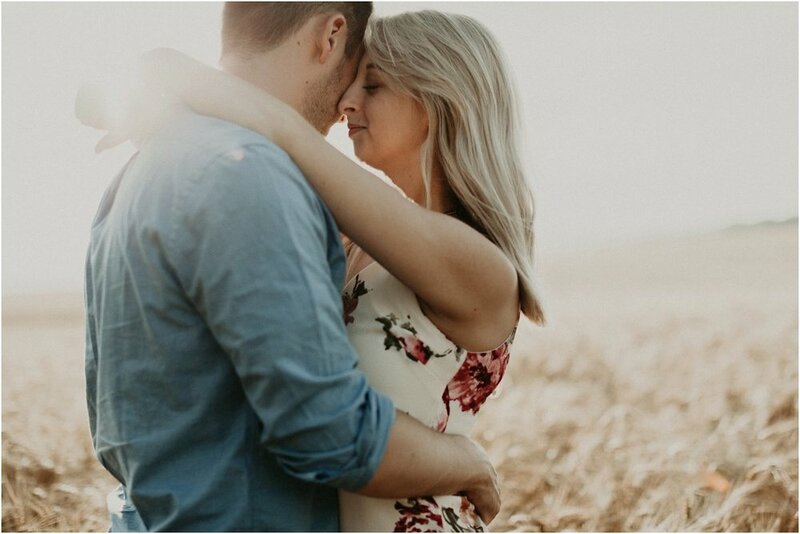 I had maybe the most fun I've had during an engagement session with these two lovebirds. So much genuine emotion, laughs, and interaction that I absolutely adore...THESE are the kinds of sessions that make my heart sing. I think we can all quickly pick out the kinds of photos where couples look especially posed and uncomfortable, and we all know they make me absolutely criiiiinnnnggeee. 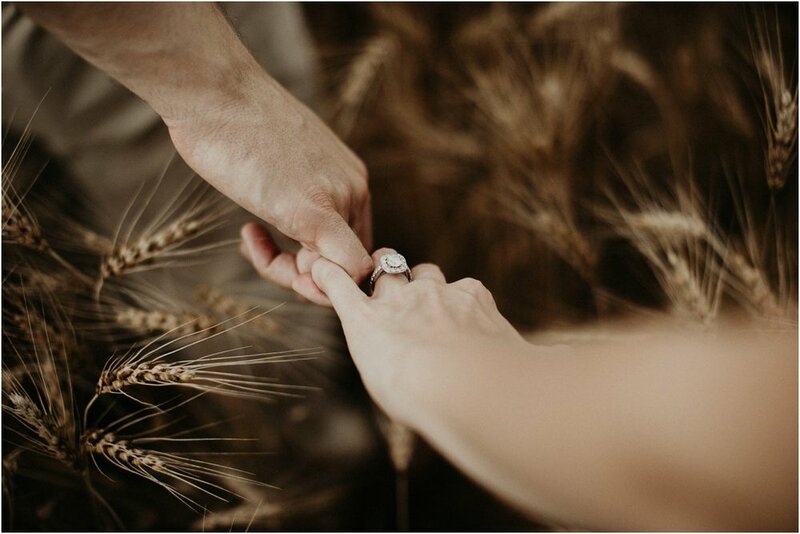 With each engagement session, I've dug deeper into getting to know my couples on a personal level so that when the camera is out, they feel more comfortable giving me genuine interaction. Scotty actually said at the end of our three hour shenanigans, "That was so much fun!" Can you picture YOUR boyfriend/fiance/husband saying that? I nearly fell over dead in the field right there. Now THAT is what I wanna hear. 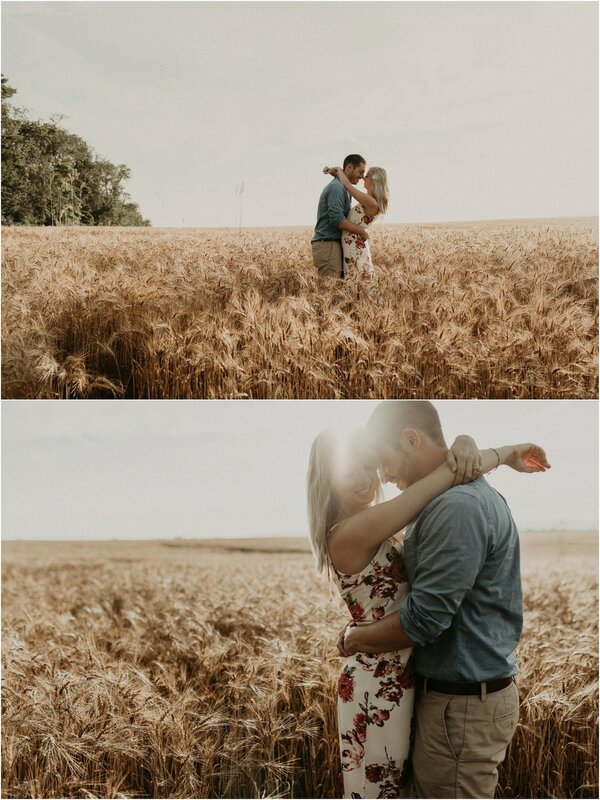 Ladies and gents, I present to you Alyssa and Scotty, engaged in a wheat field in late June. Two fun-loving beautiful people with well-curated outfits against a beautiful backdrop. But I don't think you'll see so much of that as you will the way he looks at her, how her face crinkles when she laughs, the way she sunk into his arms when he carried her at the end of our session. Please people, don't let someone photograph the way you two look. Make sure you hire someone who captures the essence of who you are when you're together. Why would you have it any other way? Interested in chatting about a session? I love love in all its forms: families, mommas, anniversaries, engagements, weddings (duh). I'm booking weddings for 2018 and 2019, but have a few openings for the remainder of 2017 for other sessions, so snag 'em before they're gone.